Developer needs to make "some tweaks and improvements." 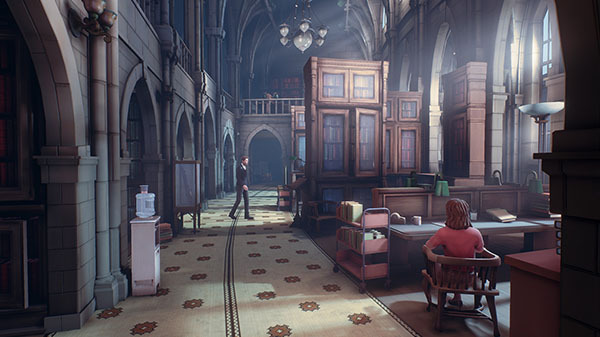 The Occupation, a first-person, fixed-time, investigative thriller developed by White Paper Games and previously planned for release on October 9, has been delayed to February 5, 2019, the company announced. It will be released both physically and digitally for PlayStation 4, Xbox One, and PC. Find the full message on the delay from the studio below. We’ve decided to make the extremely tough decision and move the release date of The Occupation to February 5, 2019. We know that right now the game is so close to being complete and ready to play, but we also know that there are some tweaks and improvements that we need to make in order for it to be something that we’re proud to release and an experience that we’re happy to hand over to you all. We’ve spent the past four years living in the world of The Occupation so we see the short delay as a small sacrifice to make sure we create something that values your time. We have a lot of cool announcements coming and the best place to stay in touch with us is on our mailing list here. Thank you for all the incredible support so far – we just have one more push to make before we’re able to share it with you all!